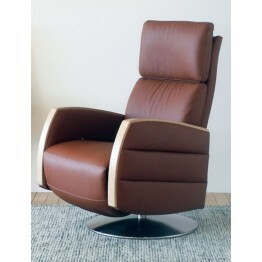 This is the Ercol Noto swivel recliner chair which carries a contemporary looking design with ease. Finely tailored fabric and leathers are available on this model and it stands on a wonderful chrome base that is complimented by the light wood framework. The action is simple and easy to work with a pull handle on the edge of the seat. The height of the back of this recliner offers full support all the way from the lumbar area to the back of the head, and the continuous chaise from seat to footplate only adds to the overall comfort levels. 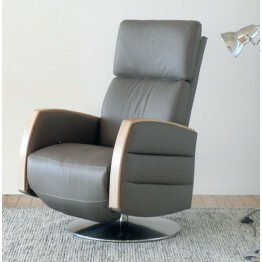 This is the Ercol Noto recliner chair that stands on a chrome base and can swivel a full circle. Thi..